Your gift to the Fund for Chaminade is vital in providing the university flexibility to meet its greatest needs. Join the Hui ‘Ahinahina Booster Club. Your commitment provides our student-athletes with the essential needs: equipment, scholarships, travel opportunities and meals. Create a legacy and make an immediate impact on a student’s educational journey. 100% of funds donated to scholarships go to the student recipient. Campus landmarks, student scholarships, program endowments and many other critical needs can be realized by naming Chaminade University as a beneficiary in your bequest, retirement plan or gift of real estate. Endowments are investments that create current and future revenue for the university. Certain endowed gifts above $25,000 include naming opportunities. For more information on endowed giving and naming opportunities, contact us. You can invest in the future of our students and Chaminade University by making a gift of stocks and other securities. Contact us to discuss our current acceptance policy and procedures for securities. Payroll deduction is an easy way for university employees to make gifts directly and automatically from a paycheck. Once an employee enrolls, funds are automatically deducted from the paycheck and credited into the receiving account. If you have questions, please call (808) 739-8526. To make your gift online, visit our secure giving page. One-time gifts and recurring giving options are available. The Office of Advancement is happy to help you make your gift over the phone. Please call us at (808) 735-4761. 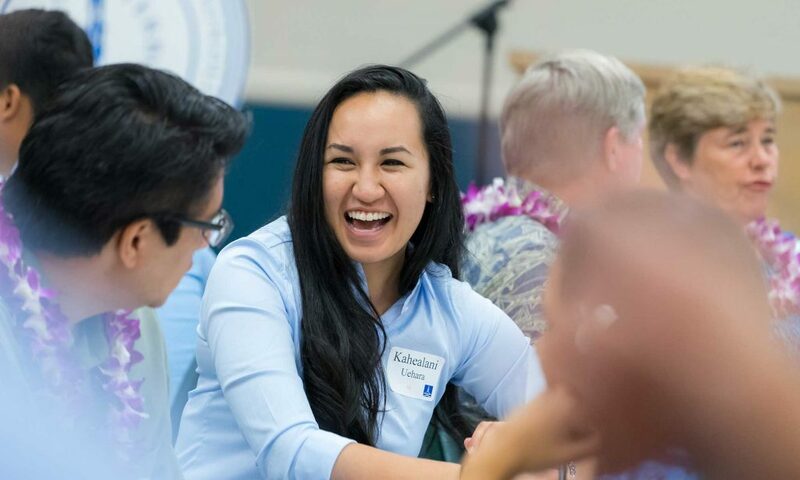 For more information, please contact Director of Alumni Engagement and Annual Giving – Geraldine Allen at (808) 739-8526 or afund@chaminade.edu.